Mothers often feel like they are betraying their children when they even start questioning whether to choose between the life of a stay-at-home-mom, and the working-mom life. Many will tell you that the ‘obvious’ answer would be to stay at home, and live all those moments that working mums usually miss in the lives of their children. But, what if it were possible to have it all: to have a balance between working and fulfilling your passions, and spending time with your family? Today mums far and wide are achieving this balance every day, whenever, and wherever: they choose their family, their children, and their career. It doesn’t matter where you are, as thanks to the Internet you can now find all the jobs available whether you are located in the North, for example Glasgow, or in the South, opportunities arise every day. You don’t have to choose between two of the most important aspects of your life, you CAN have it all! Wherever you find yourself, many are the benefits to part-time work, especially when you are a mother, and understandably you would want to spend as much time as possible with your children. Choosing a part-time job means that you will have an extra day or two per week to devote to spending time with your children and household tasks, also the hours per day will be flexible, in particular certain companies that have a greater understanding of what being a mother entails; hence giving the opportunity for a mother to be as present as possible in her child’s life. The opportunity to work part time allows stay-at-home mums an outlet for their skills and passions. When diaper duty leaves you wanting to rip your hair out; it might mean that you need a change, a fresh start, or just something new to focus your head on, for no one else but yourself. In fact, taking on a part time job can lead to a better sense of self and purpose. The financial perks of part-time work is definitely a factor in many mother’s decision to stay at home. Working mums are able to directly contribute to family wellness by providing more stability and freedom monetarily. Having an extra income allows for more opportunity and funds for nutrition, education, and holidays. Also, depending on more than one source of income is invaluable during unforeseeable circumstances. Giving you the opportunity to lead a less stressful financial life. Another, and arguably one of the most important factors in mothers working part-time is their retention of independence. As a woman with kids, we tend to force ourselves into a box by giving us the label of mothers. 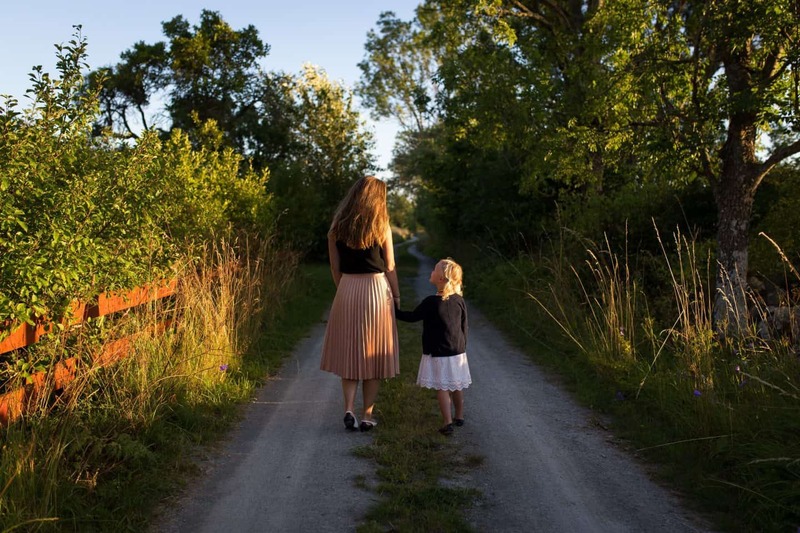 As much as we love our kids more than ourselves, something that is fundamental for a mother is to always remember that you are also a woman, and we should be able to see that we can exist outside of our duties as parent. This is a very healthy part of family life. Part time work is about to provide mothers with career stability and opportunities that last a lifetime, which is important when children inevitably get older and more independent themselves. It is fundamental that before you take this decision you weigh your options and ultimately decide what is right for you. Balancing work and family is a delicate task, but has its own benefits as well as being ultimately very rewarding. Also, setting a strong example for your family. This is guest post from Mary. Image source.